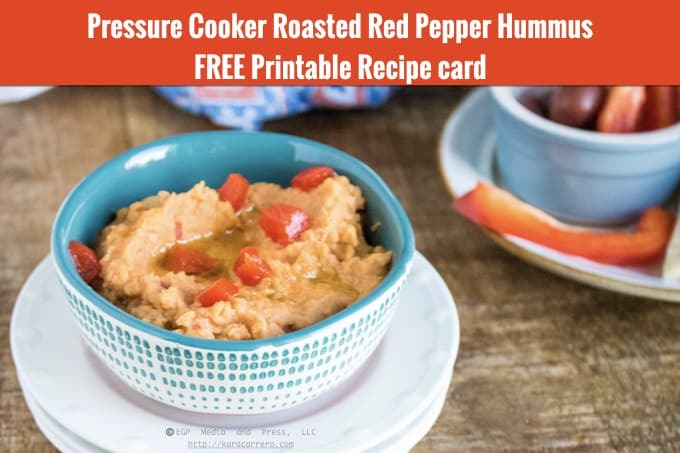 Gardening, parties, and potluck dinners, there’s always a reason or a season to make a variety of different pressure cooked, instant pot side dishes. 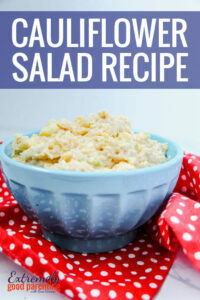 My go-to side dishes when I attend a summer potluck or barbeque? Anything that I can make in one of my Instant Pots. While I’ve been known a time or two to experiment with some different side dish options, I like to stick to a few that I consider my go-to EASY side dish options. Pressure Cooked side dishes for quick dinners or potluck get togethers. 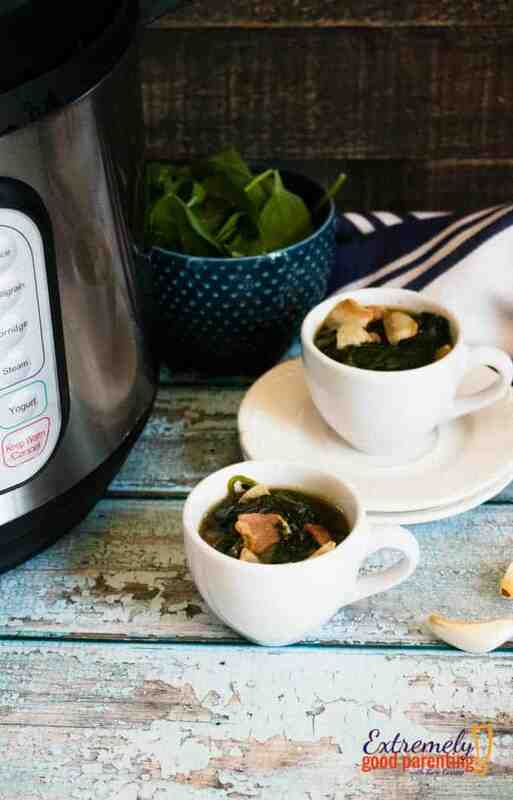 The fact that I love cooking with my Instant Pot is no secret. It’s a breeze to clean, and most recipes literally require minimal prepping and effort on my part. As a busy mom of three, it truly is one of those appliances that save my sanity more than once or twice a week. When it comes to summer get-togethers, typically the main dish is provided by the host while everyone invited to attend brings side dishes are their contribution. And I just LOVE the variety of the side dishes! 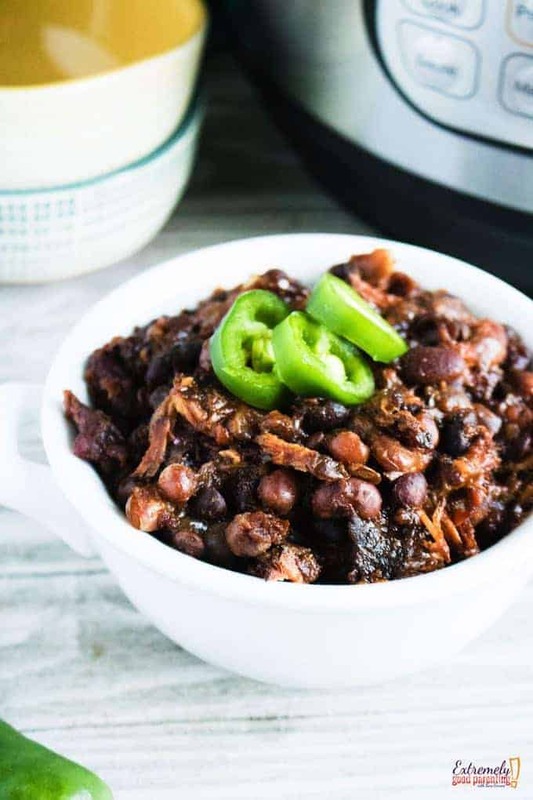 They range from fruit, veggies, desserts…you name it, they are there and each and every one just as delicious as the others… and they can all be done in an instant pot for easy, fast preparation. 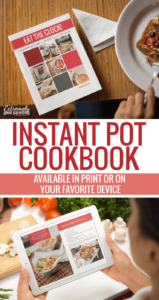 Related: What easy Instant Pot potluck recipes can I make on the go? 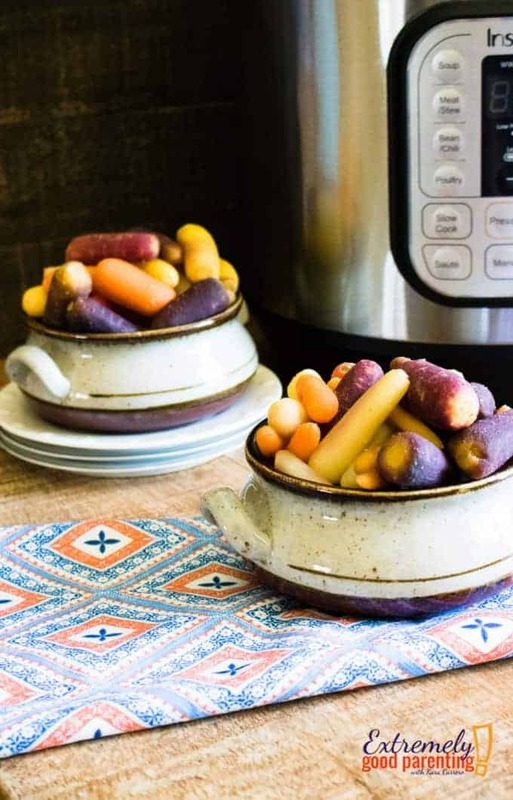 My family loves carrots raw and cooked, but there is something delicious and so simple about this easy side dish that never fails the taste buds of my crew, especially since we strive to “eat the rainbow” and there are many great heirloom carrot varieties in purple, yellow, orange and more. 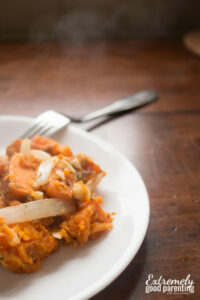 With just two ingredients, you won’t find an easier side dish than this! Start by washing carrots and place them in the steamer basket. Add water to Instant Pot inner pot and then add the steamer basket to the pot. Close the lid and seal, ensuring that the valve is set to sealed. Set to high manual pressure for 3 minutes and allow for a quick release after the cooking time has finished. And just like that, you’ve created an amazing and healthy side dish with minimal ingredients in under 5 minutes! Is there anything more simple than that? The perfect flavor of lemon pepper combined with these Brussel Sprouts is certain to be a hit for your entire family and everyone at the potluck! My husband will honestly say “Brussel sprouts” when anyone asks him what his favorite food from the IP is, and this is a little twist t the class version. In mere minutes, this side dish will be popping hot and ready! To begin, remove outer leaves from Brussels sprouts and rinse well. Place in the steamer basket and add chicken broth to the inner pot. Once complete, then set the steamer basket in the pot. 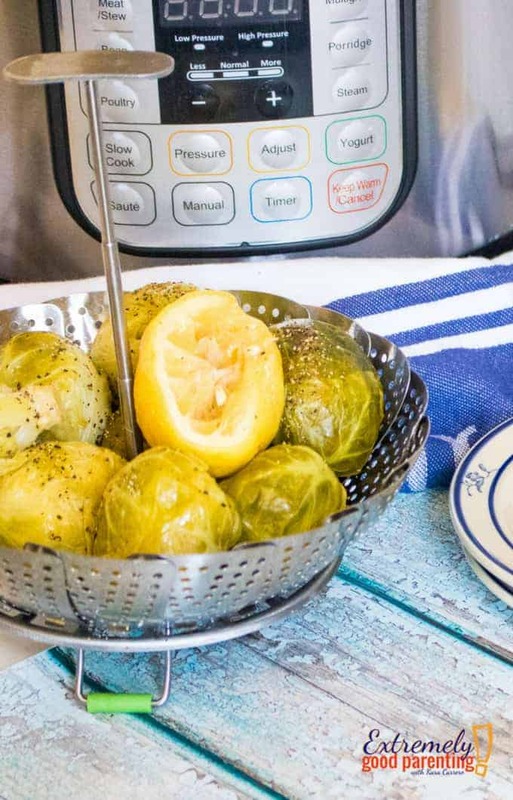 For the citrus flavor, squeeze half of the lemon over the Brussels sprouts and place the other half of the lemon in the steamer basket. Next, add peppercorns. Turn the pressure valve to sealing and set manual pressure on high for 4 minutes. Once finished, do a quick release and remove steamer basket. Sprinkle with ¼ teaspoon ground pepper and then squeeze the other half lemon over the Brussels sprouts. It’s literally that easy! Make sure that every cob is shucked, washed, and cut to fit in your pot. This is our girls’ favorite part. Add 2 cups water to the pressure cooking pot. Add a steamer basket and place the corn inside the basket. Lock the lid in place, and 2 – 3 minutes on manual at high pressure. Side dishes of spinach can sometimes seem to carry a bad rap. With this super simple side dish recipe, your family and friends will have a special place in their heart moving forward with this delicious and flavorful spinach recipe. You’ll never want to eat canned or frozen spinach ever again! First, saute salt, pork, onion, and garlic for 4-5 minutes stirring on and off. Next, add chicken broth, scraping the bottom of the pan and stirring. Add spinach to the pot and then add the remainder of seasonings. Turn pressure valve to sealing and set manual pressure on high for 4 minutes. What is really great about this recipe is that it serves 12-16 people. That means it’s the perfect side dish for a get together or potluck dinner with lots of guests! 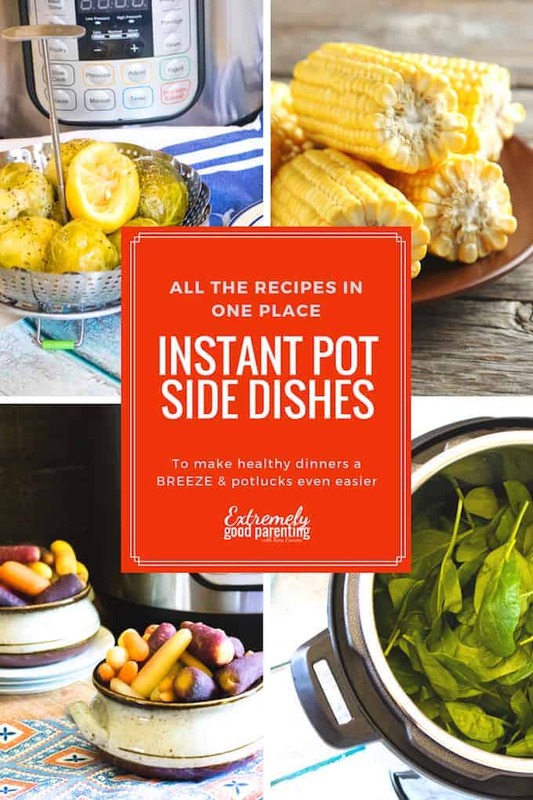 Instant Pot side dishes are the perfect accompaniment to any get together! When it comes to bringing the perfect dish to the potluck, you can’t go wrong with one of these side dishes. 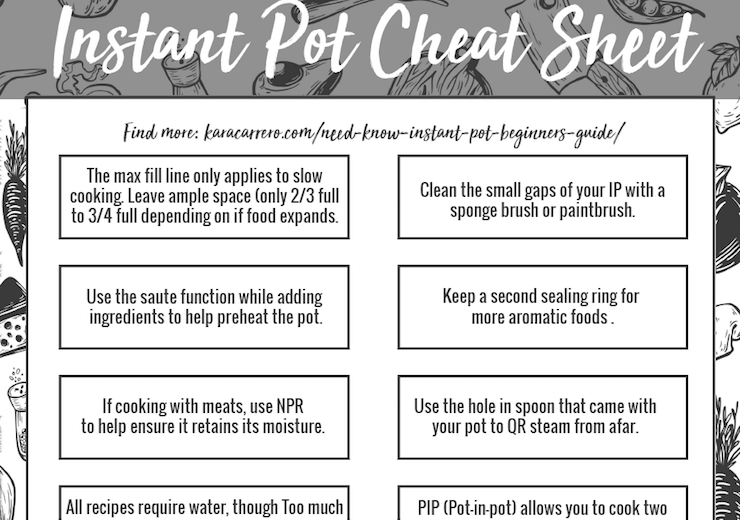 With the upcoming summer holidays, why not subscribe to our Instant Pot-only mailing list and you’ll get notified of great recipes plus as a free gift for subscribers only where you can print out this great guide on how to properly use and maintain your electric pressure cooker. There are 14 tips and tricks in the full printout! Did up my first attempt at using my IP – BBQ ribs! Loved it! Family did, too. Thanks! Sounds amazing, so happy that they turned out well and that everyone enjoyed!